Welcome to the Aldbury 5 cross country run website. Entries are now open for the 2019 race, click here to enter. 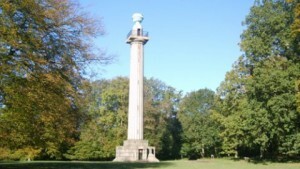 The run follows well marked off road paths around the Ashridge woods and has been held annually since 1992. The course is 5.3 miles over varied trail and off road terrain. The race starts and finishes at the recreation ground off Stocks Road, Aldbury, HP23 5RX. The route will be marshalled. A garmin gps link of the route is available by clicking here. This site contains details of the race which will start at 11am on Sunday 9th June 2019. Please use the menu above to navigate around the site. Water will be provided for the runners and every entrant will receive a finishers gift, kindly sponsored by the Greyhound Pub, Aldbury. Sandwiches and refreshments are also provided at the finish for all. Entry in advance for the race is £14 for unaffiliated runners and £12 for affiliated runners and is limited to a maximum of 150. Race numbers will be available for collection on the day of the race from 9.30am onwards. Entries will only be allowed on the day if the race is not full. Entries on the day will be £15 non affiliated/£13 affiliated. This year entries will be via resultsbase.net. Click here to be taken to their site. Results will be made available as soon as possible after the event and will be posted to this website.